This is an urgent cry for help. 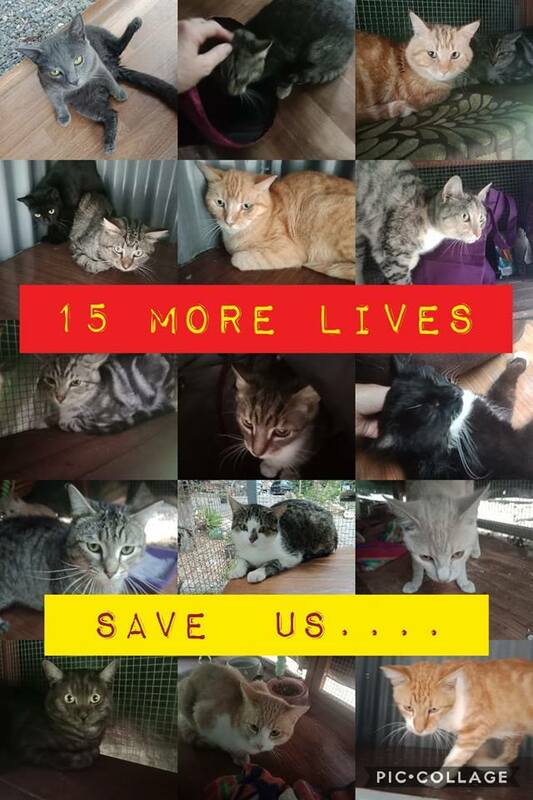 We’ve just saved 15 animals and costs are rising by the hour. 11 of them were from a deathrow pound and the other 4 were from a rural pound. I can’t bare to think about what would have happened to them if we hadn’t stepped in. There wasn’t long to go and we made the call. We’ve now got them safe and sound which is the good news. However, it has come at a great cost to our rescue who is still struggling financially. Most of the saves are under still so little – actually most are under 1 year in age. There’s Molly, who is the tabby cat and white. Ernie the ginger cat, who was dropped by his family as they went away for the holidays. Ernie is only six months and scared and confused There are two sister named Snappy and Mystic whose owner passed away and the Russian Blue Cassidy, dropped at the pound as the new wife didn’t approve of the animals. It is just so sad…. We had to do something. Please help us tonight with a small donation. Just $5 which is the cost of your next cup of coffee would be amazing and then share this post like crazy. It would mean the world to us. We must raise $4,000 – the cost as it stands today of all of the vet bills and associated expenses including food etc with these saves. Please keep this cats n kittens heathy n save! I love what use are doing helping the animals tha have nothing n truly need this help! Well done keep doing what u are doing l! Thank you for saving these beauties! Tigger and Phoenyx, the spoilt labs will donate their pawket money to halp the kitties. Thank you for all that you do for animals in need.